The Spring season on the upper Rogue River is just beginning. March through April. Morels will soon be here! Wild Rogue River winter steelhead. Larger than the summer steelhead. You can keep three per year during the winter season now. White snow covers Mt. McLoughlin now. The river flow was lower yesterday when I fished. Overnight December rain has brought it up a bit. Still looks good for fly fishing and wading. Yesterday flow was about 1300 CFS and cold and low. 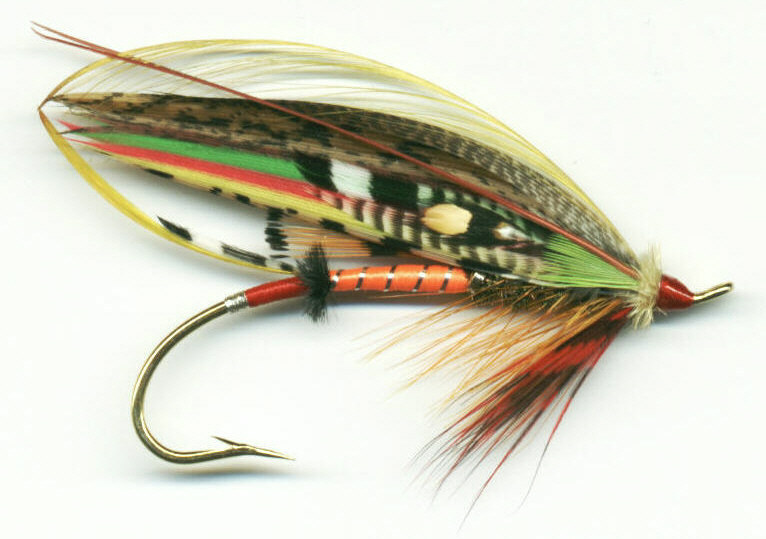 An Atlantic salmon fly pattern for Christmas Eve. Santa’s Little Helper A Christmas theme Atlantic salmon fly pattern I came up with several years past. Though it’s never caught a salmon that I know of, I’m certainly sure it could. I just hope it fetches some Christmas Cheer. Santa’s Little Helper the December Fly of the Month.